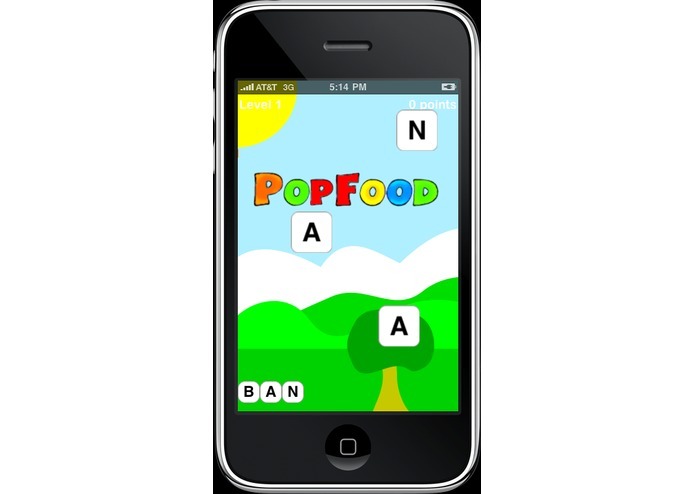 Pop Food is a fun iPhone/iPod touch/iPad game where kids learn food groups by spelling food names. Each letter of the food is then shown on the screen, floating above a beautiful background, bouncing against each other. Kids quickly try to find which food name it is, e.g. "BANANA", and when they spelled out the complete word, BONUS messages great them with additional information about this food, e.g. "HIGH IN POTASSIUM". With Pop Food, kids have a fun time to learn food groupds and how to spell food names.